When I saw these on Shopbop, I knew I had to get them! They are these cozy fleece socks that you can put inside your wellies. These ones had a leopard trim, and they have grey furry ones as well. 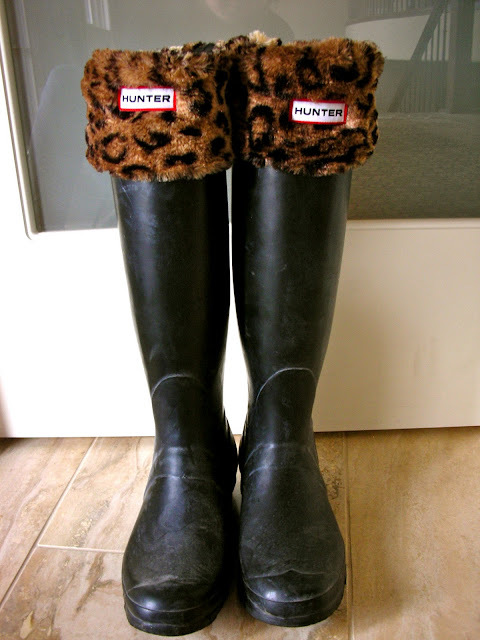 They are a great way to accessorize and jazz up your Hunters. Pick them up while you still can! Wowser. The fur made this. Thanks for posting the photos. Yo have a cute blog come and visit me too, soon. Ah that blue cake looks great!